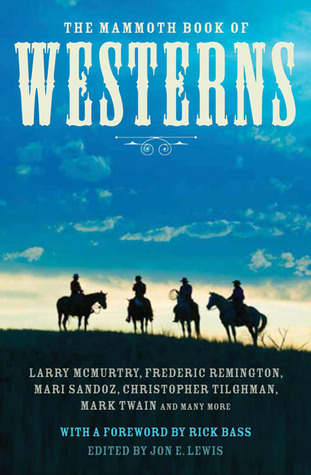 An anthology of 35 Western stories originally published as early as 1872 or a recently as the 1990s, with many of the classic authors of the first half of the 20th Century represented. Two of the stories are extracts from key novels, the remainder are short stories of varying length. Some of the more recent stories I struggled to class as Westerns at all, but that certainly was not a problem with most of the contents. The contents themselves are mostly a repeat of the editors 1997 anthology ‘The Giant Book of the Western’ with a few titles added and some changes to the biographical notes – a surprising number of the featured authors have died since the previous book. The book finishes with the Editors personal list of ‘The Hundred Best Western Novels’ and ‘The Hundred Best Western Short Stories’ – very subjective, but some nice choices there. Foreword by Rick Bass - a must have on that basis alone.